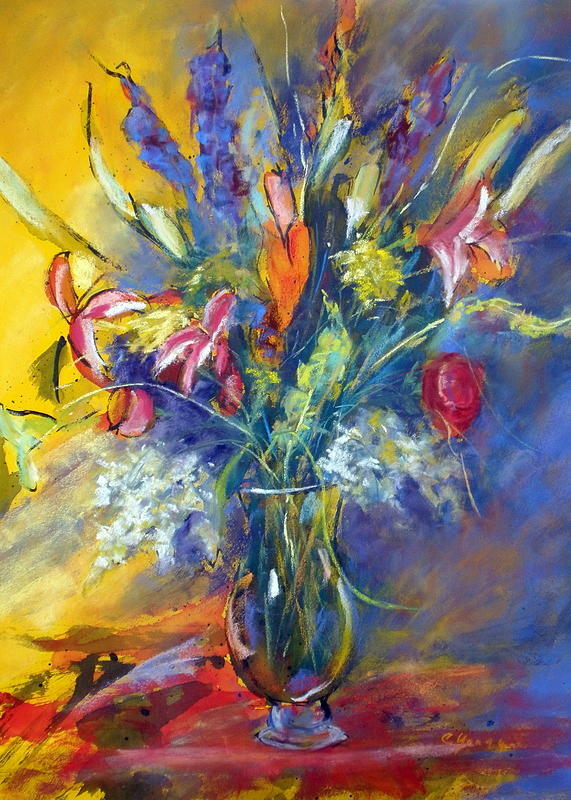 Celebration is a painting by Caryl Joy Young which was uploaded on January 12th, 2010. My two children sent me this gorgeous flower arrangement to celebrate the opening of an art gallery that I co-own with three friends, Gallery 726 in Hot Springs, Arkansas. What a lovely surprise! Hi Caryl, exuberant flowers, Hi from Hot Springs! I love your use of color and your subject matter. Keep doing your talented art. Very lovely work of art Caryl. Such style and color you have to this piece. Love your play with lighting.